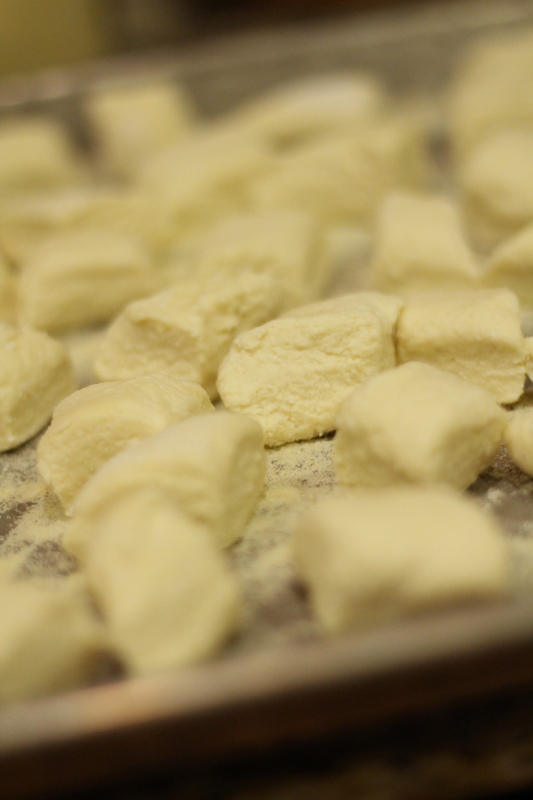 The first dish Nathan and I ever cooked together was homemade ricotta gnocchi. We are both major pasta lovers (see our homemade pasta recipe here) and gnocchi is the perfect comfort food, and an added bonus…it’s easy to make! So, what will you need? 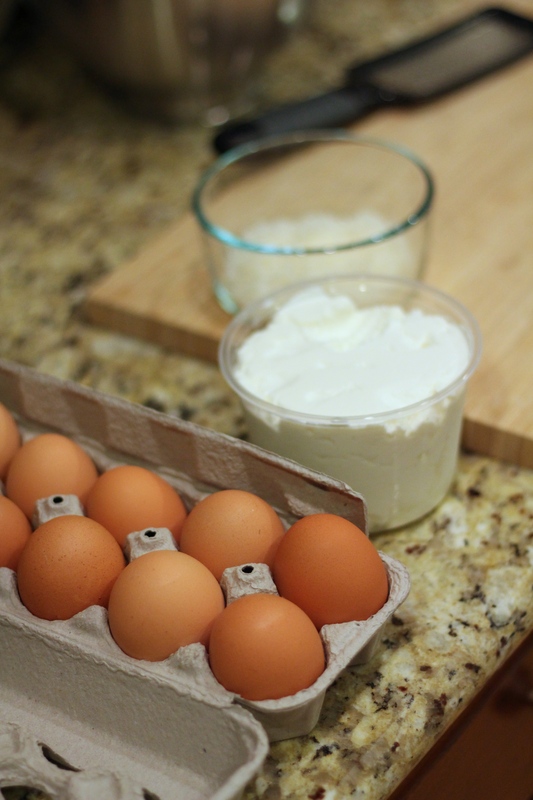 Pretty much the basics – eggs, flour (all purpose & semolina), parmesan, kosher salt, ricotta cheese. 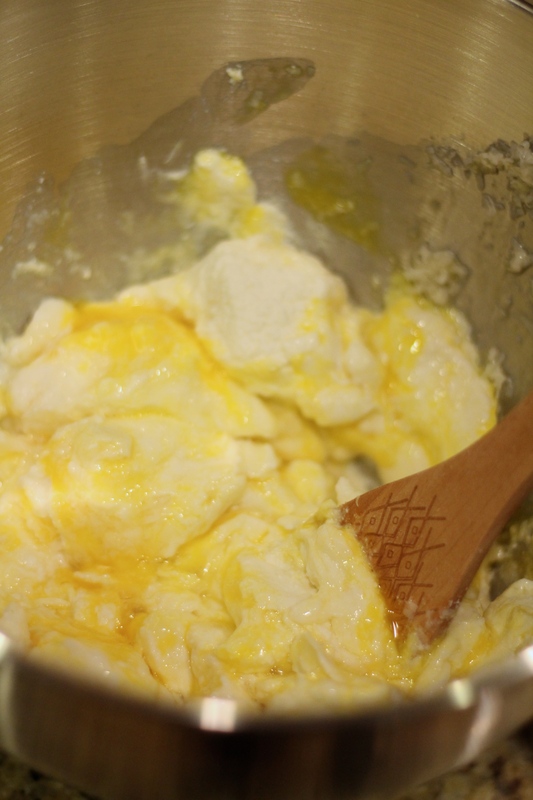 First you’ll want to take your cheeses, eggs, and olive oil and mix them all together. 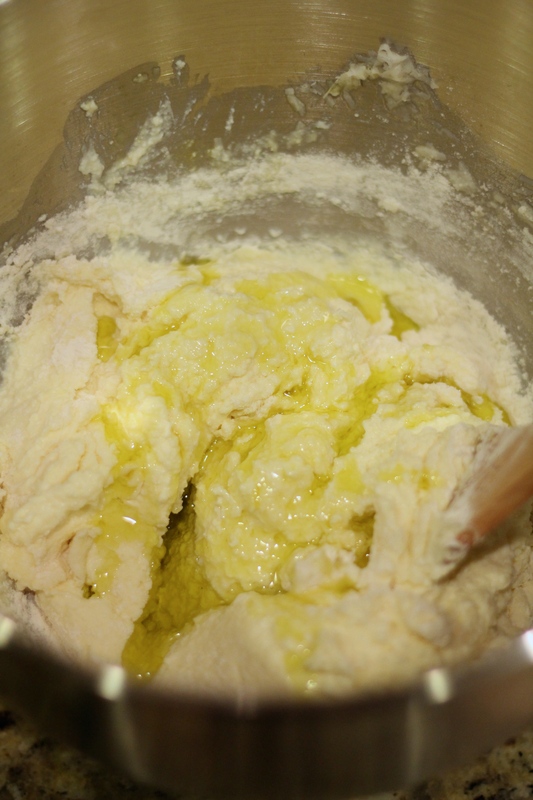 Once that’s well-mixed, you’ll want to add the all-purpose flour in parts to make sure it gets mixed in well. We’re using our Kitchen Aid bowl here, but all you need is a wooden spoon and you’re all set. It’s a super easy dough to make. 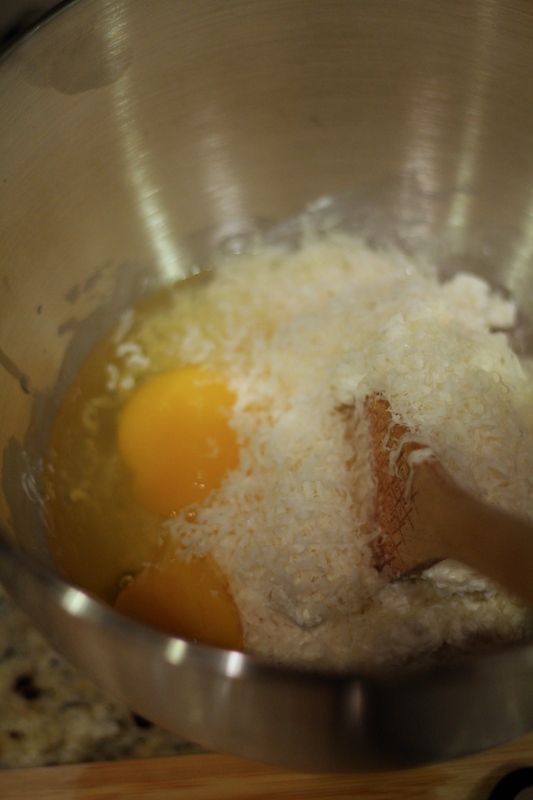 Something to keep in mind: while the recipe calls for 1.25 cups of flour, but you really should eyeball it. 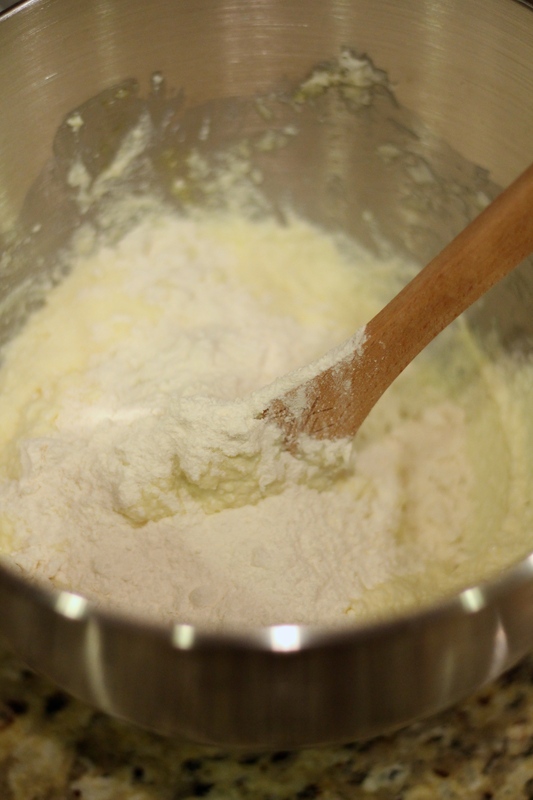 Depending on how moist your ricotta is, you may need more or less flour. The goal is for your dough to have some tackiness, but it shouldn’t stick to your fingers and leave any sort of residue. It shouldn’t be super goopy. So, I would keep some extra on standby just in case you need to add a little more. 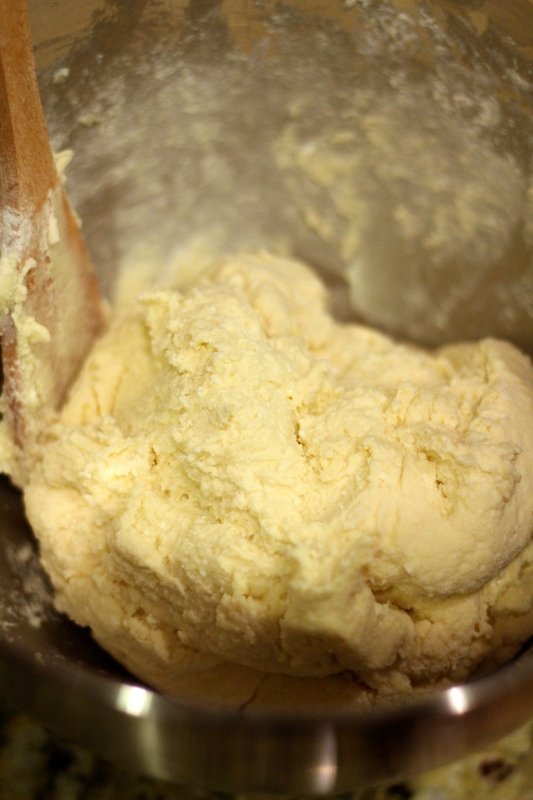 Remove the dough from the bowl and shape it into a ball. 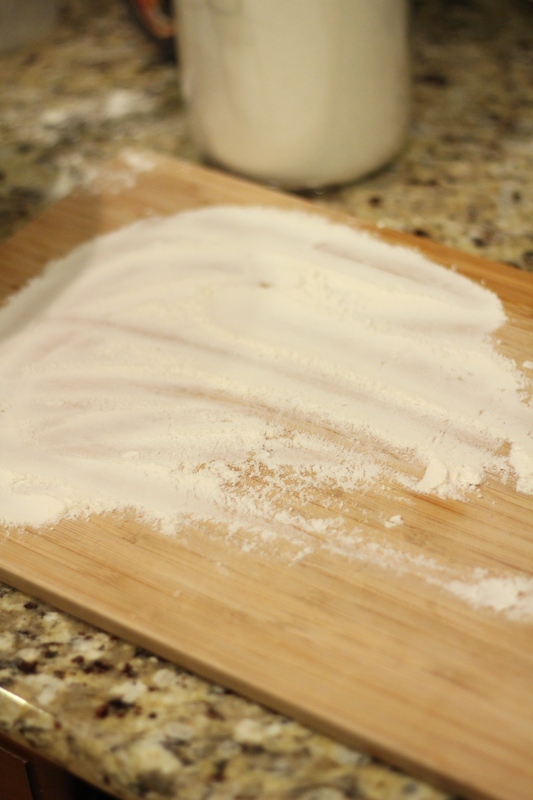 Dust your surface with all-purpose flour and cut off a piece of the dough (about a quarter). There are a couple different ways to do the next part. 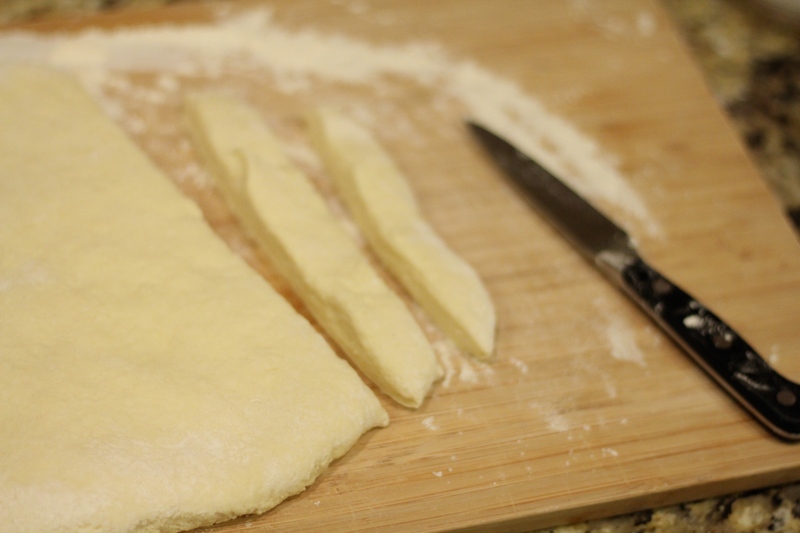 You can either (1) roll out the dough and then cut it into long pieces which are then cut into the bite-sized gnocchi, or (2) roll pieces of the dough into ropes and then cut them into smaller pieces (the latter being the more traditional method). 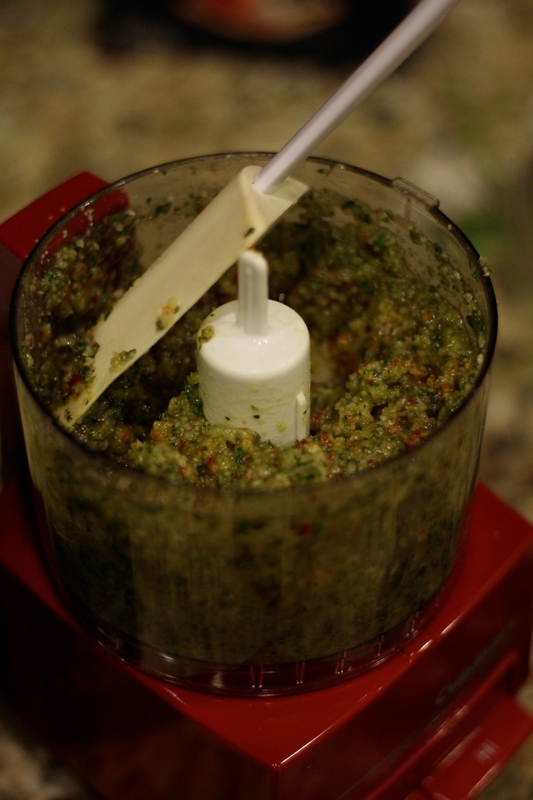 This time we decided to make some homemade pesto to go along with our gnocchi. I would recommend not using a heavy sauce because I think you lose the flavor of the gnocchi. We love pestos, and olive oil-based sauces. 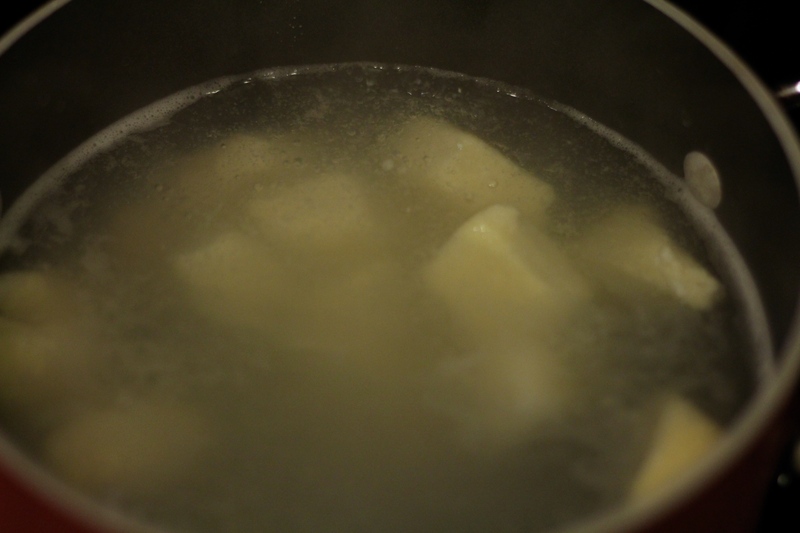 Boil some salted water and toss in your gnocchi. It doesn’t need to cook long. Maybe 2 minutes, or so. Once they start to float, you know they’re done. Strain them, toss them, and top with parmesan to your heart’s content. 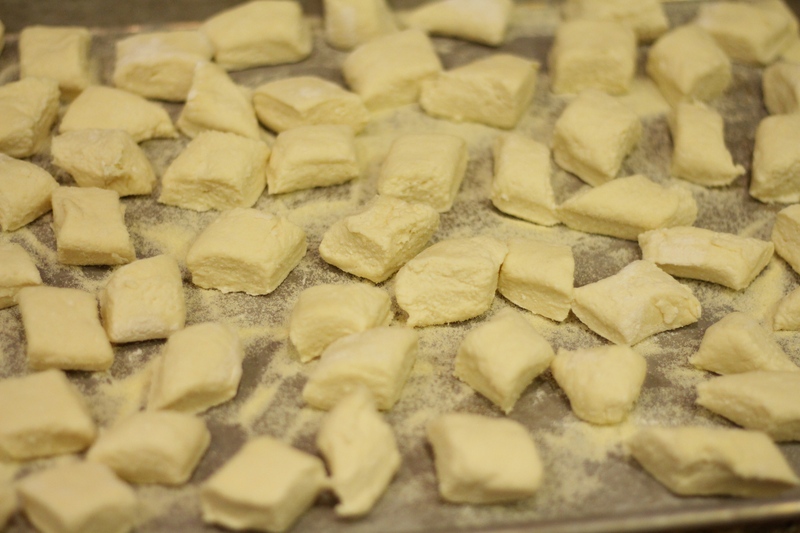 Next on our list is making potato gnocchi! Do you have any recipes to share? 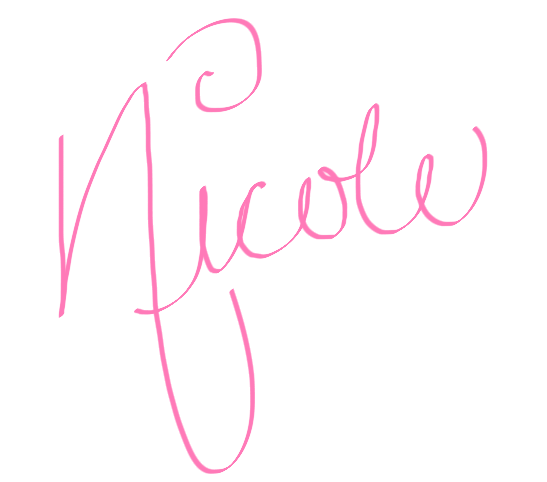 Would love to hear about them, comment below! Hey Kelly! Isn’t homemade pasta the best? 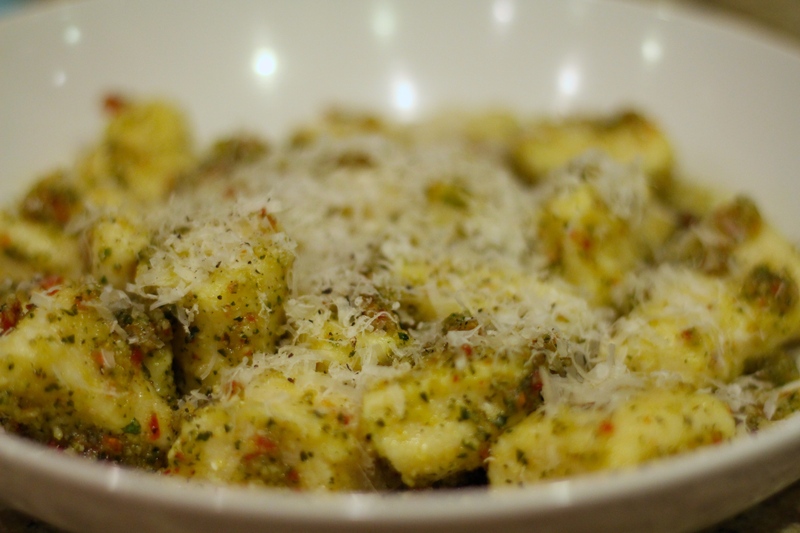 You should definitely try gnocchi! It’s pretty simple. They also freeze really well and you can keep them for up to two weeks!